Alchemy-Spetec is already known for providing the most powerful polymers and painless procedures contractors need to achieve the rapid results their projects demand. This single designation ensures compliance with the Safe Water Drinking Act (SDWA) and guarantees peace of mind for in-the-field stakeholders on construction projects of almost any scope and size. The SDWA helps ensure the water we drink, bathe in, cook with, and use in myriad other ways in daily life is safe for consumption. The federal law was put in place to maintain public health standards for drinking water systems. It defines what is considered a contaminant – both man-made and naturally occurring; and outlines the agencies responsible for regulating, monitoring, and enforcing adherence to the law, primarily the Environmental Protection Agency. The SDWA gives the EPA latitude to impose criminal and civil penalties on industries not in compliance. In 2014 enforcement efforts policing clean water netted $163 million in penalties and fines, 155 combined years of incarceration for sentenced defendants, and $16 million in court-ordered project clean-ups. Because so many of those defined contaminants are pertinent to even the most basic construction projects – turbidity from soil runoff, leaching from PVC pipes, potentially harmful and corrosive chemicals, and more – understanding and adhering to the law is particularly important for industry stakeholders. Contractors and engineers must be able to confidently choose vendors whose products and services won’t become the source or cause of drinking water contamination either in the short or long-term. NSF certification offers assurance that such problems won’t occur or will, at a minimum, be addressed. The products Alchemy-Spetec offers that can help net the most reliable and cost-effective results for contractors. NSF-certified products and materials are evaluated and lab-tested, and production facilities such as our own are inspected and annually audited for re-testing to maintain certification. 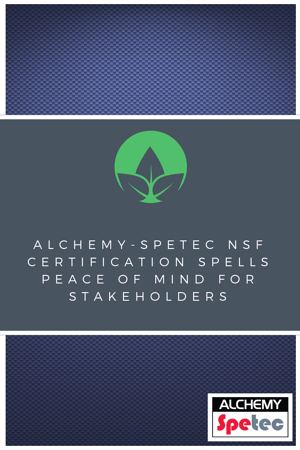 Alchemy-Spetec voluntarily undergoing such a rigorous certification process is invaluable to customers because it provides assurance that, at the end of the day, our arsenal of products are not only the top-performers in the market, but also protectors of the environment. Powerful polymers, painless procedures, rapid results! 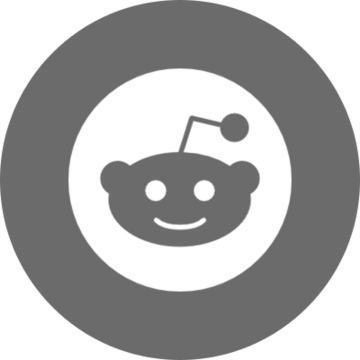 Want in-depth info on Alchemy-Spetec products?